On 13 June 2014, some the Consumer Contracts (Information, Cancellation and Additional Charges) Regulations 2013 (the Regulations) come into effect. Previously, firms were able to comply with the Distance Selling Regulations by having an appropriate warning notice in their terms of business document, and the Cancellation of Contracts Regulations by obtaining the client’s written agreement to the work going ahead. Both of the previous sets of regulations will be revoked on 13 June. Under the new Regulations, clients will have a right to cancel an agreement in distance and off-premises contracts during a period of 14 days without giving a reason unless the client expressly requests an early supply of the services. The extent to which the Regulations apply to solicitors’ contracts will depend on the nature ofthe client and the circumstances in which the contract was made. Most of the contracts the firms conclude with their clients at their place of business where their clients are individuals will be on-premises contracts. For these contracts, the Regulations do not generally impose any additional obligations (see below). 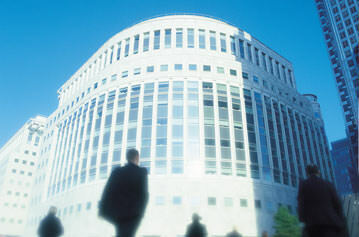 If the solicitor has agreed the terms of any retainer or entered into contracts with clients, including conditional fee agreements or client care agreements, away from the solicitor’s offices including at the client’s home or place or work or at another individual’s home (or during an ‘excursion’ which the solicitor organised), this may be an ‘off-premises’ contract and additional obligations will ensue. A contract may fall within the definition of an off-premises contract even if it is made in your office, if it is made after an offer by the client. For example, if you visit a client at home, the client offers to engage you to carry out legal work, and you then accept the offer by telephoning the client from your office the following day, this would be considered to be an off-premises contract. However, if a client telephones you, and you run through the terms of the agreement and inform them of costs, then send them a client care letter with their agreement prior to any visit or excursion, then the situation would be unlikely to be an off-premises contract. However, you must exercise caution if you make a subsequent agreement to the terms of the retainer during a follow-up visit: this may be a new contract, and caught by the definition. Contracts agreed on excursions are only considered to be off-premises contracts if you organised the outing. However, the Law Society has warned that as the precise scope of what is defined as an excursion is currently unclear, firms should assume that this section would apply to any situation where they arrange to meet a client away from your business premises including at a hospital. Distance contracts are contracts concluded under an organised distance sales or service-provision scheme where you and your client are not both physically present. These are likely to include to services like mail order, online sales and telesales. For all contracts for services entered into on or after 13 June 2014, you must ensure that you provide all relevant information in accordance with the Regulations. For most On-Premises contracts, the information which you are required to provide should generally already be contained within your current client care letters and/or terms and conditions. The requirements generally require the provision of information which is otherwise required by the SRA Code of Conduct. The length of the contract if fixed or, if the contract is of indeterminate duration or will be automatically extended, the conditions for cancelling that contract. 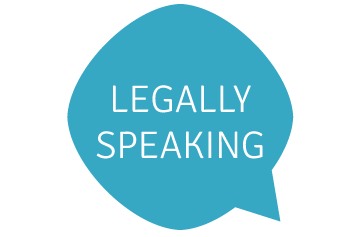 Most retainers involving legal proceedings will be of an indeterminate duration, so you should include in your CCL or terms and conditions information on how a client can end the retainer. If the contract is an off-premises contract then there are additional requirements in addition to the above. Most importantly, the client should be advised that they are entitled to a 14 day cooling-off period during which they may cancel the retainer without charge. The solicitor must send notice of this cancellation period as soon as the contract is concluded – generally, when they confirm the terms of the contract by sending the client care letter. The 14 day period will start only when the CCL is received. The notice must include details about the service to be provided and costs but also information on precisely how the client may cancel the retainer. It is suggested that the solicitor to provide a cancellation form or slip which the client can complete and return if they wish to cancel the contract – although this is not compulsory for off-premises contracts. The solicitor should not undertake any work during this 14 day period unless the client expressly requests that you do so. It is vital that all solicitors who wish to commence work within the 14 day cooling off period only do so when they have received an express request from the client for the work to commence within that period. If the contract is regarded as being concluded under an organised distance sales or service-provision scheme then the requirements for off-premises contracts also apply albeit that the cancellation form must be sent to the client with the notice. You need to update your client care letters and/or terms and conditions documents. For most on-premises contracts, our client care letters and/or terms should already confirm the relevant information but it would be worth checking that your fee earners are sending all relevant information. For any off-premises or distance selling retainers concluded on or after 13 June, you will need to check whether the Regulations apply. You may wish to refer to the Law Society’s Practice note for guidance on this (see below). If they do then you need to ensure that your client care letter and/or terms and conditions are sent out as soon as possible after the terms of the retainer have been agreed and that they include the relevant information about the cancellation period. You will need to explain to the client that you cannot undertake any work during this period unless they expressly agree in writing. One the client has received the notice and they indicate that they require you to undertake urgent work before the cooling off period expires then you must ensure that they confirm this in writing – this could be by a simple e-mail or by the client perhaps signing a dated attendance note prepared by the solicitor. Set out below is a sample paragraph for inserting into your client care letters and/or terms and conditions document. This Notice has been provided to you because you have entered into a contract to which the Consumer Contracts (Information, Cancellation and Additional Charges) Regulations 2013 (‘the Regulations’) apply. Under the Regulations, you have the right to cancel this contract if you wish to do so within fourteen working days without giving any reason. This Notice explains how to exercise this right. It also gives you other information that is required by the Regulations. The cancellation period will expire after 14 days from the day of the conclusion of the contract – that is within 14 days of the date that you receive this notice. In order to exercise your right to cancel the contract, you need to deliver or send to us a cancellation notice (that is, a written and clear statement that you wish to cancel the contract e.g. a letter sent by post, fax or e-mail). The cancellation statement or notice should be delivered or sent to [name of person] at [postal address] or at [email address]. You can use the cancellation form [provided below][attached] if you wish, but you do not have to do so. We cannot provide any services before the end of the cancellation period unless you have made an express request to that effect. If you require us to undertake some urgent work for you before the cancellation period expires, you are welcome to request that we do so. This request should be made in writing and sent to [name of person] at [postal address] or at [email address]. However, please note that if you do ask us to begin the performance of services during the cancellation period and then subsequently seek to cancel the contract, you will be liable to pay us an amount which is in proportion to what has been performed until the time that you have communicated us your cancellation from this contract, in comparison with the full coverage of the contract. If you cancel this contract within the relevant period, this will end both your and our obligations under the contract. For further guidance, please contact your DG Legal consultant or send an email to admin@dglegal.co.uk.